News Presenter for the South Today team. 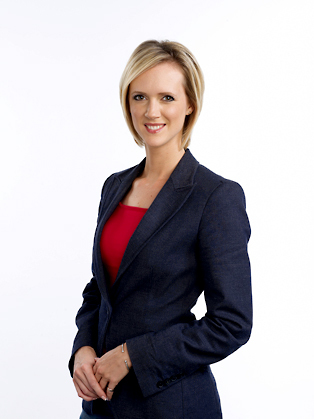 Prior to the South Today team, Laura has worked on BBC Newsround in London, and on various Radio 2 programmes including the Jeremy Vine Show and Michael Parkinson’s programme. Laura is a southern girl through and through. She started life in Dorset and grew up in and around Southampton and the New Forest. Being a journalist is a job Laura thrives on – she's one for being kept on her toes and taking up any challenge. For her, the best thing is never knowing what a day's work will involve – whether it's presenting, reporting from the scene of an armed robbery, spending the day with a boy band or trying to master the art of beach polo... all in a day's work. And when she's on a day off, Laura can be found making the most of the South – rain or shine, she likes to hit the beaches or get into the New Forest. Laura also loves running, playing tennis badly (she says) and painting and cooking. She doesn't mind getting her hands dirty and has been known to help out with milking the herd of cows on her cousins' farm in Ireland, which she describes as a very special place. Before joining the South Today team, Laura worked on BBC Newsround in London, and on various Radio 2 programmes including the Jeremy Vine Show and Michael Parkinson’s programme. She also presented for the Press Association. Before all this Laura started out at BBC Radio Solent – so it's quite fitting that she's back in the building where she was given her first chance.